as you give yourself grace in this 31 days of letting go, I wanted to share a tutorial with you. don’t worry, it’s super simple and so fun. cover the canvas with pages. modge podge under and on top of the pages. 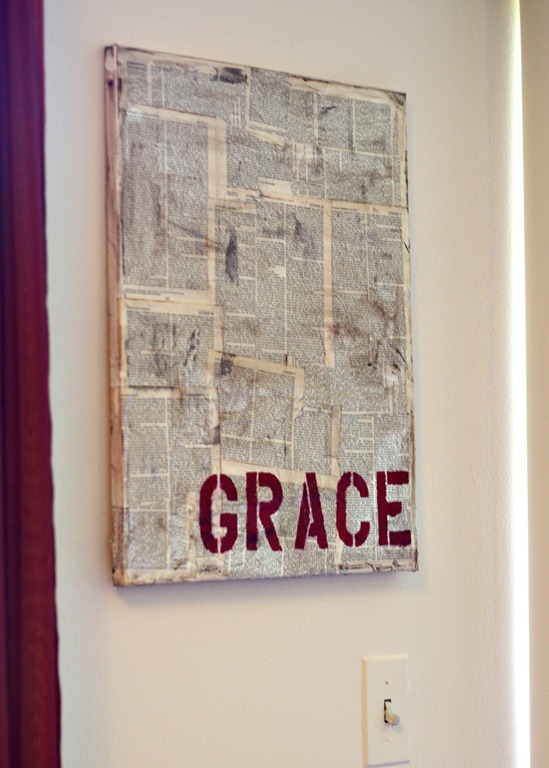 tape your stencil letters onto the canvas. remove stencils before the letters dry. (very important!) clean up any smudges. sand the whole thing. don’t worry about the pages pulling up. rub with antiquing stamps. rub with cloth to get off excess. paint over entire canvas with varnish. 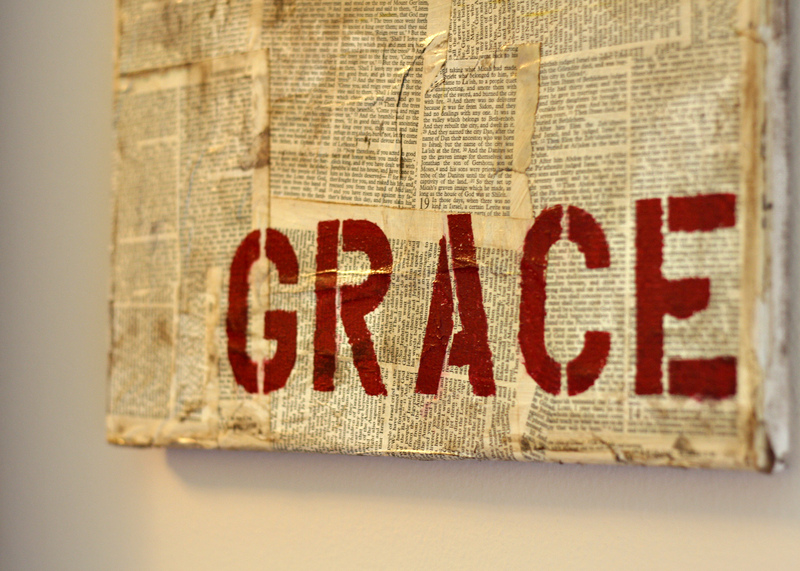 but if it’s still too difficult, you could always buy mine: at my shop I have GRACE and LOVE. Do you have another word to use? Let me know! I can make customized Red Letter Paintings too!